You know how much I love scented candles so you won't be surprised that my love for all things fragranced extends to perfumes as well. I really enjoy the feeling of wearing a beautiful scent on my skin, it can lift my mood and make me feel more 'put-together'. 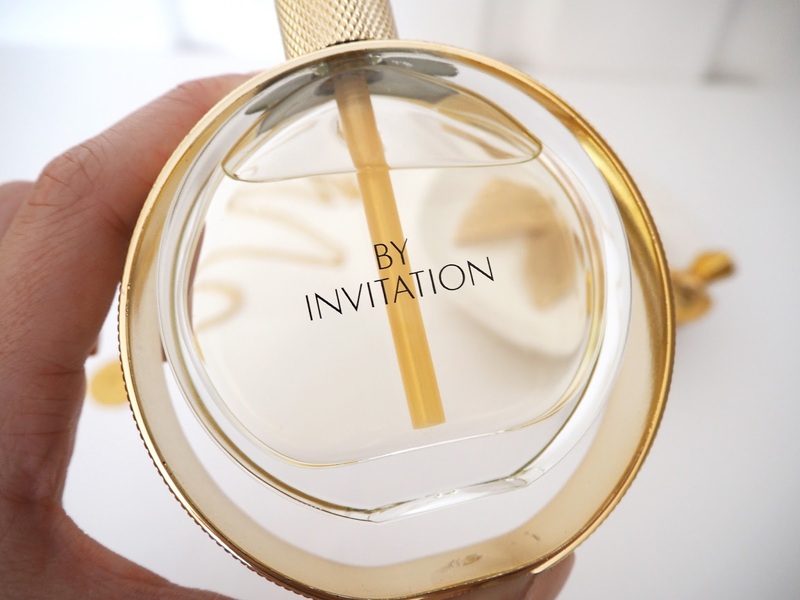 Recently I have been trying By Invitation*, the newly launched fragrance for women by Micheal Bublé which has been deemed a "scented love letter to his female fans." Described as 'a glamorous floral oriental, encompassing the iconic flowers of love,’ The fragrance starts with light, sparkling top notes of red fruits and bergamot then develops its heart notes of lily of the valley, elegant rose, wild jasmine and spicy peony. By Invitation then wraps you in a warm base of sandalwood-musks, blended with addictive vanilla praline. "It's no secret that I'm a hopeless romantic. It’s in every note I sing and every song I write. 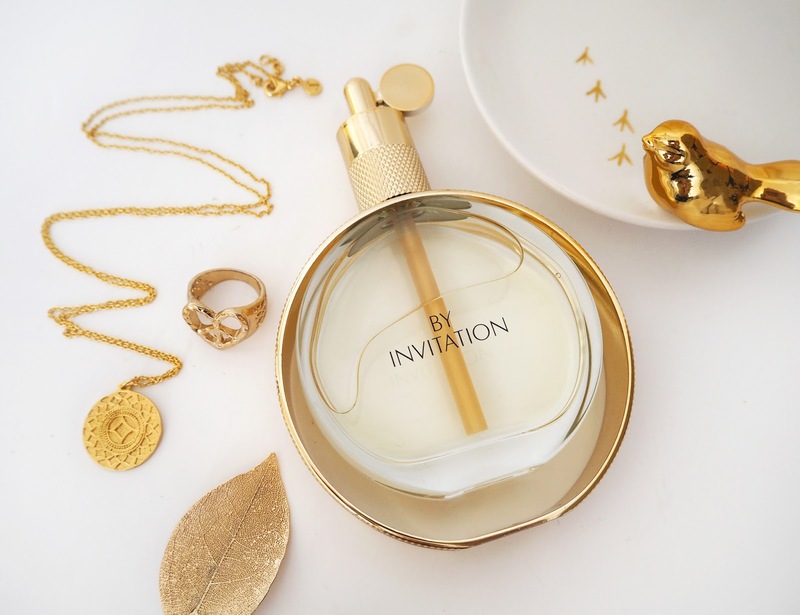 The idea was to create a special ‘invitation’ to fans into my new world of fragrance. 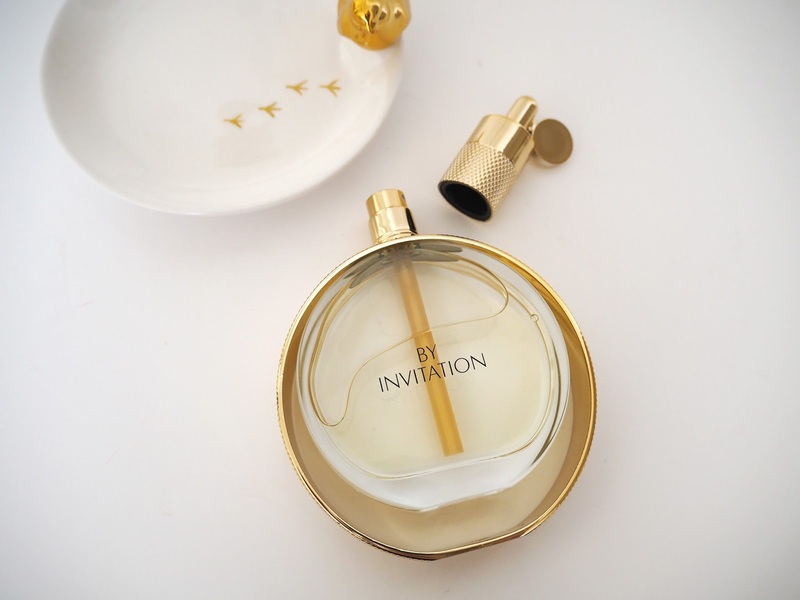 I’m inviting women to enjoy a beautiful scent that represents my personal taste and imagination. By Invitation is what I’d call ‘love in a bottle,’ ”commented Bublé. Like Michael’s music, By Invitation is both modern and timeless. A stunningly simple yet elegant design has the bottle suspended in a beautiful gold bracelet, reminiscent of luxury jewellery. The pull-off cap design is a wink to the classic fragrance atomisers of the past. The rich and opulent colour combination of cream and gold evokes the high quality of the fragrance. This scent is truly beautiful. I'm not a fan of sickly sweet or overly spicy perfumes but this one floral with a lingering vanilla sweetness which is very pleasant and lasts all day. They have also launched a matching Candle with the same fragrance which I am keen to purchase as well! 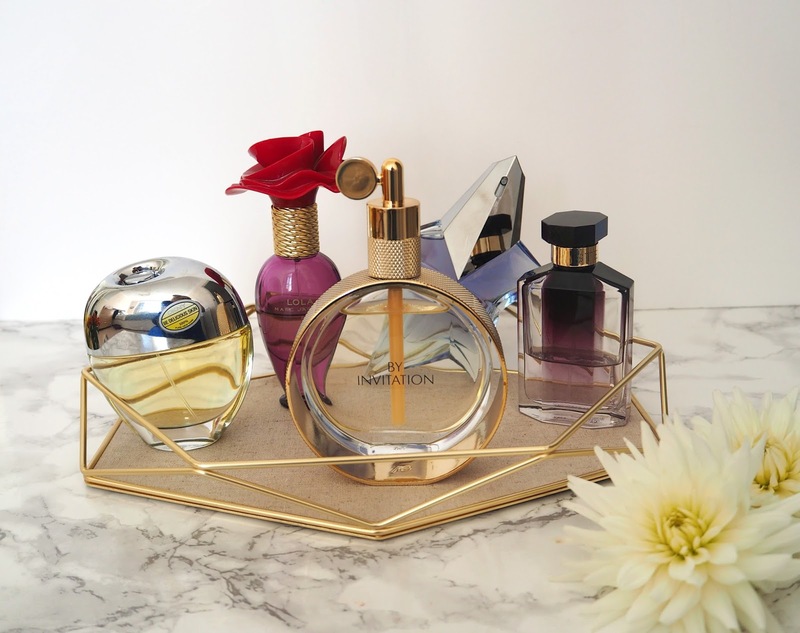 I recently bought this little tray for Umbra which I think is perfect to store & display my prettiest perfume bottles don't you think? I watched some Michael Bublé perfume review on Youtube and I think this the perfect womens perfume for regular use. Stores like Buy Perfume in Bangladesh, should enrich their Michael Bublé collection. Thanks for sharing this review.